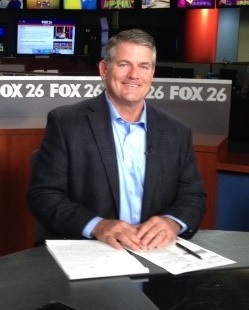 Scott Jones is the Director of Advocacy for the Galveston Bay Foundation. Scott ensures that the Galveston Bay Foundation is an active participant in the public review of projects, initiatives and issues that impact the Bay – from individual wetland dredge and fill projects to seafood consumption safety to waste site cleanups. He seeks to foster communication between all users of the Bay so that negative impacts can be reduced and improvements to Bay health can be made. Scott has been with the Foundation since 2008. He previously worked at the Galveston Bay Estuary Program from 2000-2008, TCEQ Water Quality Standards from 1998-2000 and Galveston County Pollution Control from 1996-1998. We asked Scott about Galveston Bay seafood and what we should know. Toxic contaminants work their way into the food web through biomagnification. Plants, microorganisms, and animals that live in the sediment or on the Bay bottom, absorb contaminants first. They are consumed in turn by larger organisms, which are consumed by even larger organisms. Some toxins pass out of the animals’ bodies, but others have a tendency to accumulate, especially in the fatty tissues. Bacteria are another topic of concern for seafood, specifically oysters. Bacteria screening levels set for oyster harvesting are more stringent than those for contact recreation like swimming, because bacteria can accumulate in oysters and other shellfish. This makes them unsafe to eat, especially if consumed raw. What is Seafood Consumption advisory? The Texas Department of State Health Services (TDSHS) issues seafood consumption advisories when tests on fish and crab indicate there is a risk to human health from the presence of toxic pollutants in the edible meat. Why is it important? People need to be aware of the advisory language so that they can follow the consumption advice and lower their risk of getting sick. What is being done? TDSHS samples fish and shellfish in selected high-priority areas of suspected or known contamination. Additional sampling locations are added as funding allows, but that funding is limited so there are a lot of water bodies that go untested. TDSHS uses federal grant funding through the State of Texas to conduct testing as the monies allow. If TDSHS were better funded by the State of Texas, they would be able to conduct testing on more water bodies on a more regular basis. Who is funding the research? Federal grant funds go through the State of Texas to TDSHS for the collection and laboratory testing of the fish and crab meat. Research on the effects of toxic pollutants is conducted by various academic and government entities through a variety of federal and state grants. When will we know the results/Where can I find them? The Galveston Bay Report card has provided a map that outlines what advisories are in place for certain species from certain water bodies. Galveston Bay Foundation provides updated seafood consumption advisory information on Galveston Bay and associated waterways. TDSHS posts seafood consumption advisories for the whole state.